Churches that follow the Christian Year will be either observing the Seventh Sunday of Easter or the day of Ascension (which does not fall on Sunday). In either case the first reading comes from Acts 1. The text for Ascension is the first eleven verses, while the Seventh Sunday texts come from Acts 1:15-26, which contains the call of Matthias to replace Judas Iscariot as the twelfth Apostle. The Matthias story is an intriguing one, but it is here in verse 8 of Acts 1 that the foundation for the Book of Acts is laid. 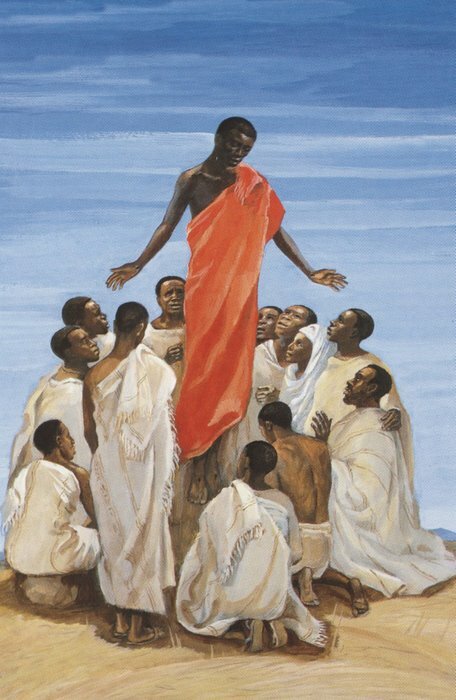 So, I will address the first reading for the Day of Ascension. Luke invites us to imagine gathering with Jesus after forty days of post-Easter appearances for final instructions prior to Jesus’ physical departure from the disciples, which opens a new phase of Luke’s Gospel story. Chapter one of the Book of Acts marks a point of transition from Jesus’ earthly ministry to the Spirit-empowered mission of the church. The message for this moment in time is to “wait.” Now is the time for the Spirit of to come down upon the believers, so that they might bear witness to the Gospel, from Jerusalem to the ends of the earth. While it was good to be with Jesus in the flesh, it is time to leave the womb and enter the world, bearing the message of salvation.